The Ministry of Health observed the day yesterday where UMN Health Team participated. In the event, the State Minister for Health and Population, Hon. Dr Surendra Yadav, highlighted the need to integrate mental health at the policy level and availability of psychotropic drugs at the health facilities. 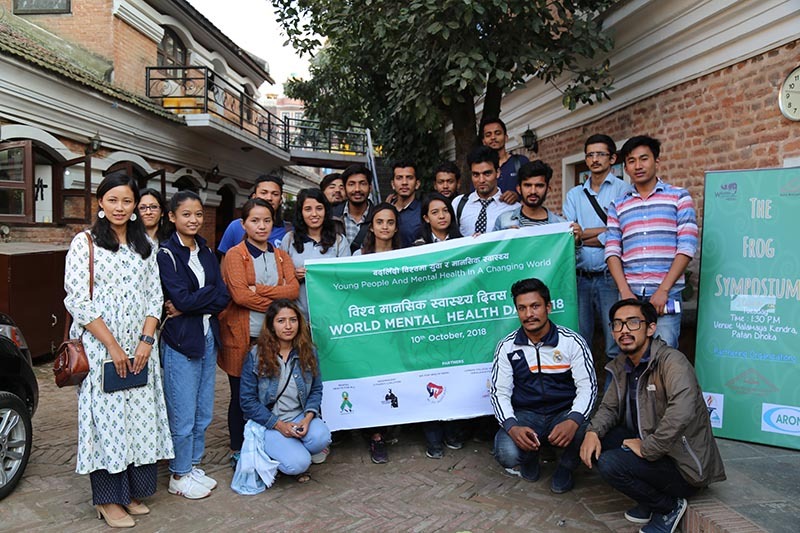 Also, on Monday, UMN's Mental Health Project Manager, Prasansa Subba, was one of the speakers at an interaction programme comprising of public health students, youth political leaders and journalists. Prasansa presented facts on the global and national context of mental health highlighting the need for investment in youth and adolescent mental health.